Hydrogen and sparks, orange juice and toothpaste – some things are best kept apart. But as Sinatra would say - peas & carrots, love & marriage, some things just go together. And in the world of condiments the obvious power couple are salt and pepper. This Valentines, two small independent specialist companies are joining forces - Salthouse & Peppermongers are getting hitched to offer customers the greatest selection of quality and gourmet ingredients known to humanity – pinch perfect salts and cracking peppers. Tom Alcott, Commercial Director and UK expert in pepper; recently featuring on BBC1, in the Telegraph, Guardian and Observer. (legend has it that if you sniff Tom, you actually sneeze). Salthouse & Peppermongers provides the best pepper the world can offer. From the Long Lost Indonesian Long Pepper to the super strong and clean Muntok White Pepper. This is pepper not to be sneezed at. 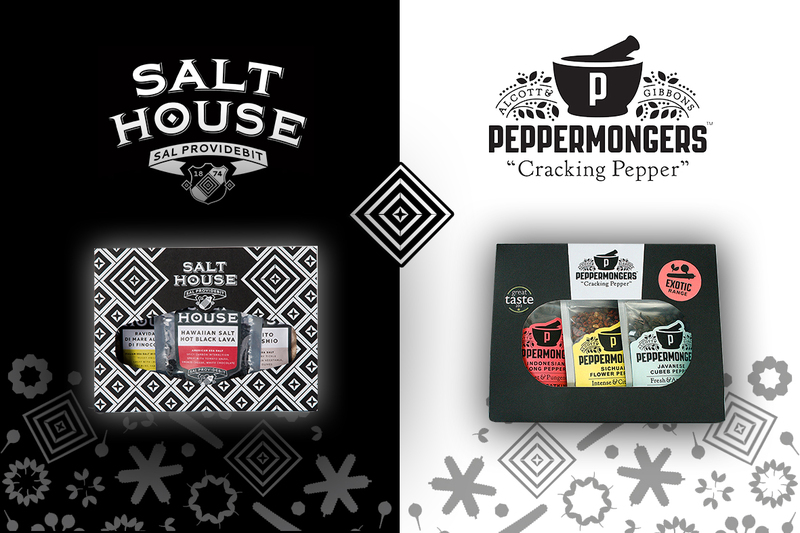 Tom says, “Peppermongers are really happy to join up with Salt House – it is the perfect partnership in terms of offering the full salt and pepper monty for the professional chef as well as the amateur cook - in both the kitchen and on the table”. Gregorie Marshall, Managing Director, is a 5th generation family salt trader (some say he actually tastes of salt.) Salthouse & Peppermongers now offer a choice of over 40 different salts to accentuate the flavour of food. Each artisan salt has unique qualities - from the rare Baby Kechil from Bali, Pink Himalayan salt with its renowned health-giving properties, to the sweet, but exotic Iburi Shio Cherry from Japan. He adds “Once you try our Fleur de Sel or fruity and bold Tellicherry Black Pepper you will wonder what you had been throwing on your food before. - Once you have tasted great salt and pepper – It's black and white - there is simply no going back”.